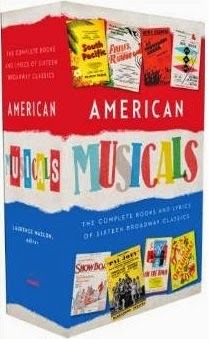 The Library of America has just published the two-volume boxed set American Musicals, gathering sixteen of the best librettos, with their lyrics, from Broadway’s “Golden Age.” Laurence Maslon, who edited the collection, discusses the significance of the era and the joys of assembling an anthology celebrating the enduring qualities of these box-office successes. 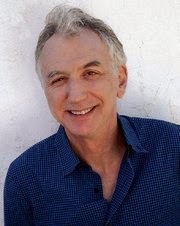 A professor in the Graduate Acting Program at New York University’s Tisch School of the Arts, Maslon is the author of several books about musical theater and popular culture; he also co-wrote (with Michael Kantor) the companion volume to the Emmy-winning documentary Broadway: The American Musical and is the host of the weekly radio program Broadway to Main Street. What’s the aim of this collection, and what sorts of pleasures and insights do you hope readers will find? The American musical is one of our culture’s great, optimistic, ebullient, indigenous art forms. But it’s an elusive one because like most theatrical events, it’s transient; it leaves behind a cast album, or a badly made film version, and some happy memories. This is the first attempt to memorialize the theater experience by putting all of the major books and lyrics to the seminal musicals of the medium’s Golden Age into one collection. In this way, American Musicals will be both a great reference source and a road map, as it were, for the evolution of this art form. What makes for a great book/libretto for a musical? How do they compare with “straight” theatrical literature? Writing the book for a musical is one of the trickiest and least appreciated jobs in the theater (or literature, for that matter). A book has to be economical, pointed, and streamlined in order to allow for songs, and yet still provide a sense of setting, structure and narrative. Not to mention the jokes! One of my favorite things about any musical is the “tipping point”: that moment when “mere” dialogue can’t handle the intensity of the moment and the character must burst into song. It takes a very skilled writer to find that transition and make it work. What show or writer do you think readers of the collection will find most surprising? That’s a trick question: any musical you don’t yet know will be a surprise to you. Still, the collection puts Moss Hart and Irving Berlin’s wonderful revue As Thousands Cheer in print for the first time; it makes the preoccupations of Americans during the Depression seem both fresh and timeless. Readers may also be amused at how risqué Pal Joey is and how politically provocative Finian’s Rainbow is; these may be your grandfather’s musicals, but they don’t read that way. What was the most interesting discovery you made while putting the collection together? The early days of musical theater writing—the 1920s through the end of World War II, actually—were not kind to later curators of posterity—editors and publishers. Since no one imagined the shows would last as important cultural artifacts, versions were prepared for performance, but no definitive final version was readied for print. In the case of the first three shows in the collection (Show Boat, As Thousands Cheer, Pal Joey), it was often a bit of puzzle to derive the authors’ intention from the manuscript alone; I had to use sheet music, programs, vocal scores—even photos to put the texts together. What drew you to the American musical? What wouldn’t? I saw 1776 when I was eight, and it changed me forever. As I grew up—and collected original cast albums and the like—it occurred to me that the American musical says as much about who we are as a people as does a “straight play.” Perhaps more so, as it folds in our characteristic music, dance, performance, personality and so on. Why the focus on these particular four decades? Show Boat (1927) is the first great narrative musical. The next four decades saw the stage musical bloom and grow in so many different venues: songs on the radio, cast recordings, film adaptations, national tours, and, of course, on Broadway itself, which was, in its day, a very potent laboratory for experimentation of a popular form. Critics refer to the well-crafted, largely narrative, and highly accessible shows from this period as exemplars of Broadway’s “Golden Age.” The musicals that have lasted and become an affectionate part of our culture come from this period. The closing parenthesis is a matter of taste; certainly by 1970 (with Sondheim’s Company), the style and tone of the musical changed. I also like the felicity of the fact that the last musical in our collection, 1776, is the most American of all. What parallels/contrasts would you draw with Broadway musicals today? Today, the American musical has diversified as much from its late 1960s world as the primetime television broadcast schedule has from its late 1960s format. Musicals today have developed into more atomized forms and they are constructed and produced for niche audiences: rock fans, cartoon fans, families, and so on. Once upon a time, the American musical spoke to all audiences. Do you have a favorite scene or lyric in the collection? In putting together the libretto for this collection, it was clear that this lyric was actually a change from the original 1940 song (which referred to Tchaikovsky’s 1812 “sounding” great); it was altered for the 1952 revival—by which time Lorenz Hart had died. So who made the change? Richard Rodgers? John O’Hara? We’ll never know—but the Library of American anthology, with its copious backmatter, gives us both versions. • Which musicals are the best from Broadway’s Golden Age? Laurence Maslon discusses the selection process for collection in this online article for Slate. • For a recent episode of his radio program Broadway to Main Street, Maslon played a sampling of the hit songs from the musicals included in the collection. Listen to the broadcast on the program’s site. The latest Library of America volume, Art in America 1945–1970, was published earlier this month to effusively glowing reviews in The New York Times, The Wall Street Journal, and elsewhere. The nearly 150 selections in the volume capture the excitement and vitality of the creative explosion during the years following World War II, when the center of the art world shifted from Paris to New York. We recently interviewed Jed Perl, who edited the anthology. 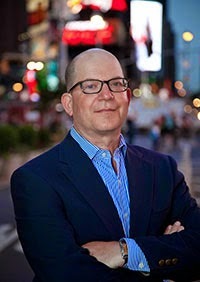 Jed Perl is the art critic for The New Republic and the author of New Art City: Manhattan at Mid-Century, Magicians and Charlatans: Essays on Art and Culture, and other books. What’s the aim of this collection, what sorts of pleasures and insights do you hope readers will find? With Art in America I want to show how the lives of visual artists in this country have been woven together with the lives of novelists, poets, and intellectuals of all stripes. 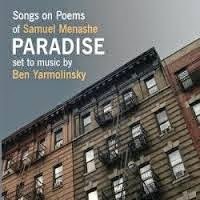 That’s why it was so important to include—along with the writings of the painters and sculptors themselves and the terrific critics of the time—work by people ranging from the playwright Tennessee Williams to the novelist Mary McCarthy to the political and social critic Dwight Macdonald to the poet Randall Jarrell. One of my gripes about our cultural life in general is that everybody gets Balkanized—all too often poets are only conscious of other poets, novelists of other novelists, painters of other painters. I’ve always liked the idea of cultural cross-fertilization. As an art critic I’ve certainly learned a lot from critics of other art forms. And part of what’s so fascinating about the years just after the war is that the world of art and literature and culture was smaller, almost a village or a neighborhood—so that there was more communication across disciplines and media. Why a book of writing about art? What’s the connection between writing/writers and art/artists in this period? The connection between the visual and literary arts is a very ancient one—it goes back to the Latin phrase, from Horace, “ut pictura poesis.” Over the centuries the phrase has meant different things to different people—but basically it makes an analogy between what can happen in painting and poetry. Words can paint pictures and pictures can tell stories. Poets of the postwar years like John Ashbery and James Schuyler and Frank O’Hara were acutely aware of this. But more generally, I think there’s something exhilarating about seeing how words can explicate pictures—and the great variety of ways that words can be used to explain the work of an artist like Pollock or de Kooning, ranging from Clement Greenberg’s muscular formalist approach to Harold Rosenberg’s and Meyer Schapiro’s focus on the imaginative freedom of the artist. Why the focus on this particular twenty-five-year period? The quarter century after World War II was the time when American artists first took the world stage. The story goes from the moment right after the war when the Abstract Expressionists—who had struggled in obscurity during the Depression—were beginning to be widely known to the period in the late 1960s when American art was going global. There are many ways to tell this story. You can see how America’s economic success after the war fueled the success of American art. But you can also argue that in becoming more and more global and less and less local, American art risked losing some of its vigor and individuality. There are some pieces in Art in America—John Bernard Myers’s wonderful “Junkdump Fair Surveyed” and Thomas B. Hess’s “The Battle of Paris”—that begin to explore some of the troublesome aspects of American art’s success story. What parallels/contrasts would you draw with the art world today? Today’s art world is awash in a kind of money that was unknown fifty years ago. It is hard to remember that although Pollock and de Kooning were famous in the 1950s, they were not making an extraordinary amount of money. I think that many of the kinds of seriousness and playfulness that we encounter in the writing in Art in America are still alive in the studios of artists today—but more and more of the contemporary artists I know feel oppressed by the global art world, which has become a behemoth that casts a very long shadow over the lives of working artists. The publicity machines that keep Koons and Hirst and Murakami afloat take up much too much oxygen. And the frenzy in the art fairs and the auction houses has a pace that has nothing to do with the life of art—which is the life of the imagination. I don’t mean to romanticize the 1950s and 1960s; every period has its particular challenges. But there was a modesty about the art world back then—despite all the swaggering egos—that encouraged deep thought and deep feeling. How did you decide which images to include? I wanted Art in America to capture the wonderful heterogeneity of the years after World War II. So the images were selected to support this vision of a time when artists were working in many different ways—representationally and abstractly, with a ripe painterly brush or a cooler, maybe more Olympian, approach. People often imagine that pluralism in the arts is a new idea—a postmodern idea. Part of what I wanted to show with Art in America is that at any given time there are a wide range of different kinds of approaches being pursued. Art is intensely personal. Art is nothing if it’s not personal. We talk about period styles, and of course there may be some truth to such talk. But within a period style, each artist develops a personal style. Finally, it is because no two people are alike that no two artistic expressions can be alike. Which piece or writer do you think readers will find most surprising? I think most people who open Art in America are going to find some old friends (Greenberg, Rosenberg, O’Hara) mingling with writings that will surprise them—like the funny little poems that Dwight Ripley devoted to the art world in the 1950s, which I treasure for their gossipy charm, their buoyancy, their esprit. The letter about Pop Art by the wonderfully independent San Francisco artist Jess was a terrific discovery. So far as I know, it’s never been published. A friend of mine, the critic Michael Duncan in Los Angeles, suggested including it. Jess was as interested in pop culture allusions as the Pop Artists, but he wanted to give those allusions a magic and a mystery that he obviously didn’t see in much of the work that was emerging in New York in the 1960s. One favorite piece? I can’t say I do. I like different pieces for different reasons. There will always be a special place in my heart for the writings of Edwin Denby and Fairfield Porter, which are simultaneously mystifying and exacting. Fielding Dawson’s “Emotional Memoir of Franz Kline” has a wonderful romantic atmosphere. And I’m especially pleased that I’ve been able to include the work of Sidney Tillim, whose spirited and now virtually forgotten criticism catches so much of the polemical excitement of the 1960s. The latest Library of America volume, Elmore Leonard: Four Novels of the 1970s, recently arrived from the printer and will go on sale in bookstores everywhere this week. 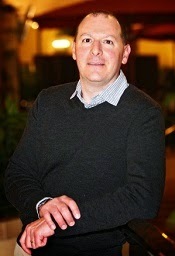 We recently interviewed Gregg Sutter, who edited the volume. Sutter first met Leonard in 1979 and began working for him in 1981. He is currently at work on a biography of Leonard, from the unique perspective as his full-time researcher for more than thirty years. What was Elmore Leonard’s greatest contribution to the post-Chandler tradition of American crime fiction? Elmore did not come out of the Chandler tradition, which broadly includes the subgenres of detective, mystery, suspense, thriller, and crime fiction. Elmore’s writing school was Hemingway for the Westerns and George V. Higgins for the crime stories. 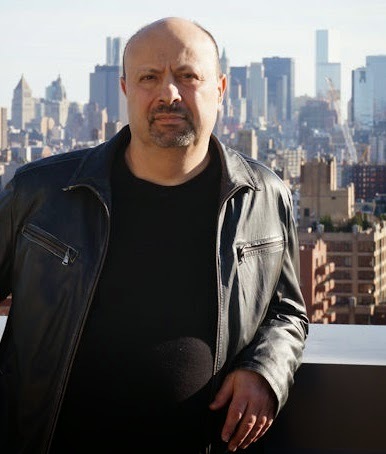 He wrote dialogue-driven crime novels with an emphasis on character, from the point of view of both the good guys and the bad guys. Characters “auditioned” for their roles. If they couldn’t talk, they were in danger of getting bumped off. He frequently described the freedom he felt as a writer. “I make it up as I go along,” he said. Who were the writers who influenced him? Ernest Hemingway had the most profound influence on Elmore. He studied Hemingway intensely when learning to write and well beyond, saying he always could pick up a Hemingway story and be inspired. But Hemingway lacked a sense of humor, according to Elmore. He found the natural humor he sought in the work of Richard Bissell. Finally, in the early 1970s, he read the work of Higgins, which had a liberating effect on his writing, especially showing Elmore how to tell a story with dialogue alone. What did Leonard accomplish in his Detroit novels from the 1970s and where did he go from there? 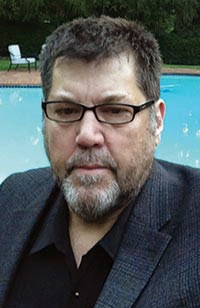 With his body of work in the 1970s, especially the four novels included in the Library of America volume, Elmore began to be noticed in publishing and crime fiction circles as a rising star, even though he had been writing for thirty years. He also developed and refined a style that has been often imitated. Starting in 1981, Elmore set novels in South Florida, where his characters—often with a Detroit connection—migrated and found new opportunities, mainly criminal. These works did not go unnoticed. By mid-decade, he was recognized as one of the greats of contemporary American fiction. As a Detroit native yourself, do you feel a special connection to these books? Absolutely. Detroit in the 60s into the 70s was known nationally for the auto industry, its sports teams, and Motown—and that was about it. I looked to New York and Los Angeles for cultural direction. By the mid-70s, it was Raymond Chandler’s Hollywood and Martin Scorsese’s New York that had my attention. Then in 1975, I read Fifty-Two Pickup by Elmore Leonard and that same devotion to place was bestowed on my hometown of Detroit, in novels, by an author who captured its sound and atmosphere. You didn’t start working with him until the 1980s, but do you know of any anecdotes connected with the composition or reception of the four novels in the LOA collection? Before Fifty-Two Pickup, Elmore was best known for his westerns and his film work. Five of his previous six novels had been in paperback, which didn’t exactly raise his profile. But he was back in hardcover with Fifty-Two Pickup and soon discovered by The New York Times, which sang his praises, especially for Unknown Man No. 89. They said, “he can write circles around almost anybody active in the crime novel today.” The Switch, released in paperback, failed to receive the same critical attention as the others, but it was every bit as significant. What were the high points and low points of working with Elmore Leonard? I’ll give an example of each. The low was when Elmore’s wife, Joan, died in 1993. 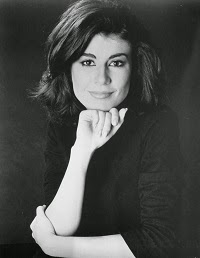 She was his loving wife, smart friend and great editor. She was greatly missed, but Elmore quickly remarried and produced a string of great novels during the rest of the 1990s. The high points were the road trips with Dutch to exotic places like Cape Girardeau, Missouri, and Tishomingo, Mississippi. Hanging out with Dutch was always fun, and it brought me even closer to his work. Do you see links between Leonard’s personal life and any of these four novels? Plenty. He weaves into all four novels elements of his personal life, such as alcoholism in Unknown Man No. 89, his background in advertising and the auto industry in Fifty-Two Pickup and Swag. Then, in The Switch, the contrast of the world of the country club party crowd in Detroit’s northern suburbs, with the bleak landscape of the city and its marginal inhabitants. There was a scene deleted from Swag. Who cut it and why do you think it was cut? My feeling is that the scene, while entertaining to read, slowed down the fast-moving Swag a little, so the editor cut it. I’m not exactly sure who would have made the decision to cut it or Elmore’s reaction. In any event, it’s great that the deleted scene is included in the Notes for Elmore Leonard: Four Novels of the 1970s, so readers can enjoy this fun scene with Stick and Frank. Did you make any personal discoveries or reassessments while preparing the LOA volume? My discoveries are just rediscoveries. Fifty-Two Pickup was the first Elmore Leonard novel I read. For me, it was the start a lifelong interest in his work as a fan and scholar. For Elmore, it was the beginning of a new phase in his career that would have glorious results. These Detroit novels have the same effect on me now as when I first read them in the 1970s, bringing forth a deep understanding of the landscape of Detroit, its sound and certainly its characters. Do you have a favorite in the collection? That’s tough but if I had to pick one from the collection, it would be Unknown Man No. 89. This novel established Elmore as “a new and important writer,” as The New York Times put it in 1977. Its plot featured a shootout on Main St. in Rochester, Michigan, near where I had lived as a student. The unreality of Elmore’s fiction combined with the reality of my life, created a feeling of attachment with Elmore’s work that never left me. The Library of America will open the new year (which is closer than one might think) by completing its editions of the novels of Saul Bellow and the plays of Arthur Miller, both of whom will be celebrating their centenaries in 2015. We’ll also welcome two authors new to the series: Ross Macdonald (yet another centenarian ) and Reinhold Niebuhr. And a two-volume collection of pamphlets from the American Revolution—from both sides of the conflict—will restore to print an abundance of material that has been unavailable to general readers for 250 years. Aaron Sheehan-Dean, author of Why Confederates Fought: Family and Nation in Civil War Virginia, recently edited The Civil War: The Final Year Told by Those Who Lived It, the final installment in the landmark four-volume series published by The Library of America. 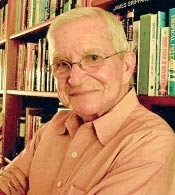 Sheehan-Dean is Fred C. Frey Professor of Southern Studies at Louisiana State University. What does the experience of reading these contemporary, eyewitness accounts offer readers that standard narrative histories don't, particularly with regard to this final year of the war? I think readers will be surprised by the continuing uncertainty about the course of the war. The popular Civil War narrative peaks at Gettysburg in July 1863. But the characters who populate this book didn’t know when the end was coming—Confederates remained optimistic and Unionists quite skeptical until very late in 1864. And even when the end did come, people didn’t know what to make of the war. The closing scenes allow us to see how Americans, North and South, tried to work out the war’s meaning, something that we’re continuing to do. In 1864, enslaved people in the South confronted the true risks of seeking freedom. White owners pursued every means to deter their flight, Union officials often proved unhelpful and unreliable, and even the environment seemed to conspire against them: Joseph Miller, an escaped slave from Unionist Kentucky, describes losing his entire family when they were expelled from Camp Nelson in the midst of freezing weather. But despite all of these dangers, southern African Americans fled slavery by the hundreds of thousands. And they did so partly because free men of color, fighting under the U.S. flag, led the way into the South destroying slavery as they went. Thomas Morris Chester’s dispatches covering the U.S. Colored Troops in the Army of the James eloquently argued that this military service earned black people full citizenship in the United States. What do the pieces tell us about the diversity of experiences and outlooks in the North and the South? Are there particular writers you grew closer to, or came particularly to admire, while working on the book? Given the discussion of “big data” these days, I am always surprised to find nineteenth-century Americans who make the most astute judgments based on nothing more than watching and listening. Charles Francis Adams Jr., whose father served as American minister to Great Britain (and whose grandfather and great-grandfather had each served as president), offered one of the sharpest assessments of Ulysses S. Grant ever recorded. Adams’s unit guarded Grant’s field headquarters in 1864 and he regarded Grant as physically undistinguished but uniquely capable at leading the northern armies. “He handles those around him so quietly & well,—he so evidently has the faculty of disposing of work & managing men,” Adams observed. “He is cool & quiet, almost stolid & as if stupid,—in danger & in crisis he is one against whom all around, whether few in number or a great army as here, would instinctively lean. He is a man of the most exquisite judgment & tact.” The pieces in this volume from Adams Jr. and his brother Henry, and father, all bristle with intelligence and wit. Piece you think readers will find most surprising? 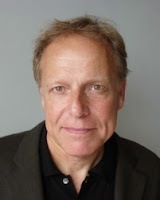 James Shapiro, best-selling author of Contested Will: Who Wrote Shakespeare? and 1599: A Year in the Life of William Shakespeare, recently edited Shakespeare in America: An Anthology from the Revolution to Now, published this week by The Library of America. 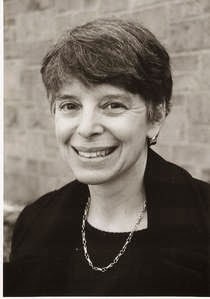 Shapiro is Larry Miller Professor of English at Columbia University. An extraordinary range of Americans—including poets, presidents, actors, and novelists—have written compellingly about Shakespeare over the past two hundred years: short stories, essays, musicals, sci-fi, burlesques, parodies, and, as this anthology shows, much else besides. Yet surprisingly little of this rich material has been collected before. Taken together, this writing tells a powerful story of the past two hundred years in our national culture. As attention increasingly turns to “Global Shakespeare,” it’s important to reflect on what has been a distinctly American engagement with Shakespeare. What was the strangest or most surprising thing that you learned in the course of your research for this book? Easily the strangest thing I researched in the course of putting together this anthology was the amateur production of Othello in 1846 in Corpus Christi, Texas, staged by American troops on the eve of war with Mexico. A young officer named Ulysses S. Grant was cast to play the role of Desdemona. I’m still wrestling with what it meant for a future Civil War general and president of the United States to see this play about racial division through the eyes of its tragic heroine. What is your favorite piece in collection? My absolute favorite (among many) in the collection is Jane Addams’s 1895 essay, “A Modern Lear.” It’s brilliant, passionate, one of the finest things written about the play, and, in choosing to view Shakespeare’s tragedy through the lens of the bloody Pullman Strike, a hundred years ahead of its time. The powerful (and Lear-like) industrialist George Pullman made sure that it wasn’t published at the time, and it didn’t appear in print until 1912. I’m proud that The Library of America has anthologized it and hope that it reaches the wide audience it deserves. Which plays have been favorites for American readers and theatergoers? Which have been neglected—and why? Americans have had their own mini-canon of plays taught and staged over the past two hundred years. The great tragedies—Hamlet, Lear, Macbeth, Romeo and Juliet, and especially Othello (not surprisingly, given our long preoccupation with race) top the list. Comedies such as Much Ado about Nothing and A Midsummer Night’s Dream have held their own. But the history plays, with the exception of Richard III, have fared less well; these plays about national identity seem to matter far more to the English, whose past they recount, than to us. President Bill Clinton, who wrote the foreword to the collection, joins a long line of presidents fascinated with Shakespeare. What is it about presidents and Shakespeare? Shakespeare had a particular gift for creating plays that put individuals under incredible pressure—in his tragedies, to the breaking point. It’s no surprise to me that those among us who experience the most intense pressure day in, day out—the presidents of the United States—have been drawn to his plays, from George Washington and Abraham Lincoln up to the present day. I am deeply grateful to President Clinton, a particularly astute reader of the plays, for sharing his thoughts about Shakespeare. What American production do you most wish you could have seen? I’m torn on this one. I really wish that I could have seen Orson Welles’s anti-fascist production of Julius Caesar at the Mercury Theatre in New York in 1937. But if I could choose only one it would have to be watching Paul Robeson play Othello on Broadway in 1943. What is your favorite Shakespeare-inspired musical? It’s strange that the English never managed to create a great Shakespeare musical; Americans did, including The Boys from Syracuse and Kiss Me, Kate. But my favorite, and surely the best, is that exhilarating rewrite of Romeo and Juliet: West Side Story (1957). Have American attitudes or ideas about Shakespeare changed over the years? Attitudes toward Shakespeare evolve because America itself keeps on changing—and literary and theatrical responses to Shakespeare are particularly sensitive to these cultural shifts. In anthologizing over two hundred years of that history—by sharing some first-rate writing—I hope to offer an alternative history of America, one that casts light not only on our long struggles with issues like race and immigration, but also on what it means to be an American. On April 14, 1939, The Viking Press published John Steinbeck’s most famous and enduring work, The Grapes of Wrath. This month, to commemorate the novel’s seventy-fifth anniversary, Penguin has just published On Reading The Grapes of Wrath by Susan Shillinglaw. 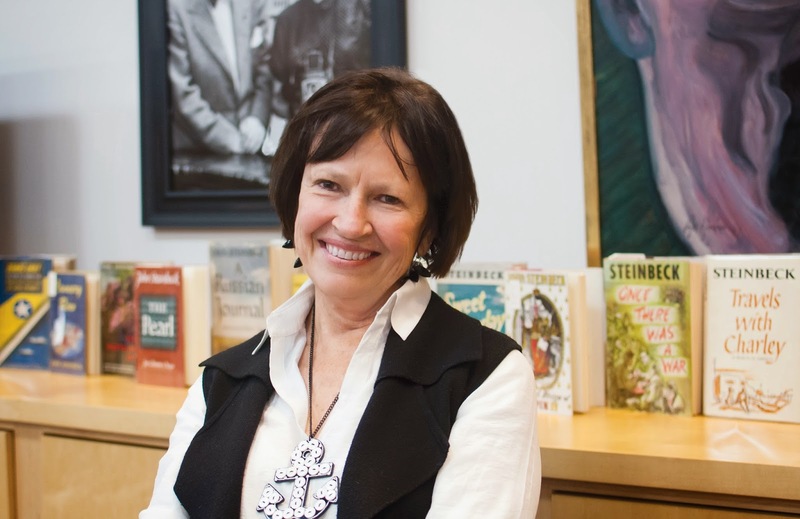 A professor of English at San Jose State University and Scholar in Residence at the National Steinbeck Center, Shillinglaw has been director of the Steinbeck Research Center at San Jose State for eighteen years. Her previous publications include Carol and John Steinbeck: Portrait of a Marriage (U of Nevada Press, 2013). In the following guest post, Professor Shillinglaw examines how Steinbeck’s investigative journalism laid the foundation for writing The Grapes of Wrath and how the novel still resonates today. Seventy-five years after it was first published, John Steinbeck’s The Grapes of Wrath remains as relevant—its cry for equity as sharp and insistent—as ever. The bruising honesty of the novel owes much to its journalistic roots. From August 1936 to February 1938, off and on for eighteen months, John Steinbeck conducted on-the-ground research, driving an old bakery truck from his Northern California home to the Central Valley, to Fresno and Button Willow and Bakersfield and Weedpatch. He bore witness to migrant woe, initially as an investigative reporter for the liberal San Francisco News. In the summer of 1936, as Steinbeck was completing Of Mice and Men, the editor asked him to write a series of articles on migrant housing in California. A few months earlier, a federal government camp program had been launched to provide decent housing for migratory field workers. The plan was to build a dozen or more model migrant camps up and down the state. Two were open in 1936, one in Marysville near Sacramento and another in Arvin, near Bakersfield. Both enclaves faced strong opposition by local growers: if field workers came together in these government-run, safe and clean little communities, who knew what might happen. Strikes? Labor organizing? Protests? Change a few words and that might describe twenty-first-century resistance to illegal immigrants or the angry push-back on passage of the DREAM Act. Steinbeck’s assignment for the San Francisco News was to move readers to an empathetic recognition that those folks are our folks. Some of Steinbeck’s research for “The Harvest Gypsies” series is embedded in The Grapes of Wrath in the Weedpatch camp chapters (22 and into 26), which describe an oasis of dignity for migrant families. Camp director Jim Rawley nudges the Joads to renewed self-respect, and his kindness was drawn closely on that of Tom Collins, the director of the Arvin camp that Steinbeck visited in the late summer of 1936. Steinbeck read Tom’s detailed camp reports, running some 30 pages per week and carefully recording the number of campers, their jobs, their sicknesses and songs and troubles. Steinbeck traveled with Tom and interviewed migrants with him. He and Tom brought food to the destitute and helped with the sick. “To Tom who lived it,” the dedication to The Grapes of Wrath reads, in part. Rereading the novel in 2014 sparks countless moments of recognition all over again, context shifted, impact fresh. The Grapes of Wrath continues to speak so powerfully in our era because Steinbeck dug in so deeply and with such passionate conviction into his own. All that is still visible in Monterey County, Steinbeck country, even in a drought year. Other California stories, however, aren’t pink or gray-green or lovely. John Steinbeck startles readers to attention, then and now. Another drought. Banks foreclosing—yet again. Angry workers demanding fair wages—$10.10 an hour as a living wage. Decent housing and safe working conditions for fieldworkers still making news, today’s stories about women who are sexually vulnerable in the fields. His saga of land use and workers’ anguish is as poignant, maybe more so, in this year of “exceptional” drought in much of California; in this decade where the voices of the “98%”—the wide swath of Americans that interested John Steinbeck throughout his career—are muted. Power versus powerlessness was his narrative arc. And it’s ours as well.